Barcelona has been on my radar for a long time so when a good friend from Bali asked me to meet up with her there for a few days in December, I couldn’t resist. As I do in all new cities we visit, I checked Context Travel’s site to see if they had any tours going on while I was in town. It’s amazing how many savvy travelers I know still have an outdated concept about walking tours. Sure, there are still the huge groups with the person in front leading the crowd around with an umbrella. Context’s tours are the complete opposite of this experience. Think instead of a small group of no more than 6 people and visiting the city with a friend who is an art historian, archaeologist, etc. 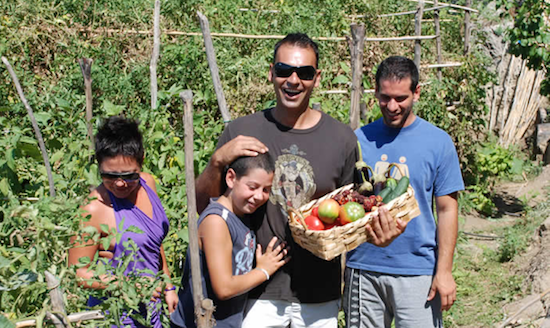 who is passionate about their field and who has all kinds of inside and interesting information about the place you’re visiting, its residents and the culture. This is what you’ll experience on a Context tour. 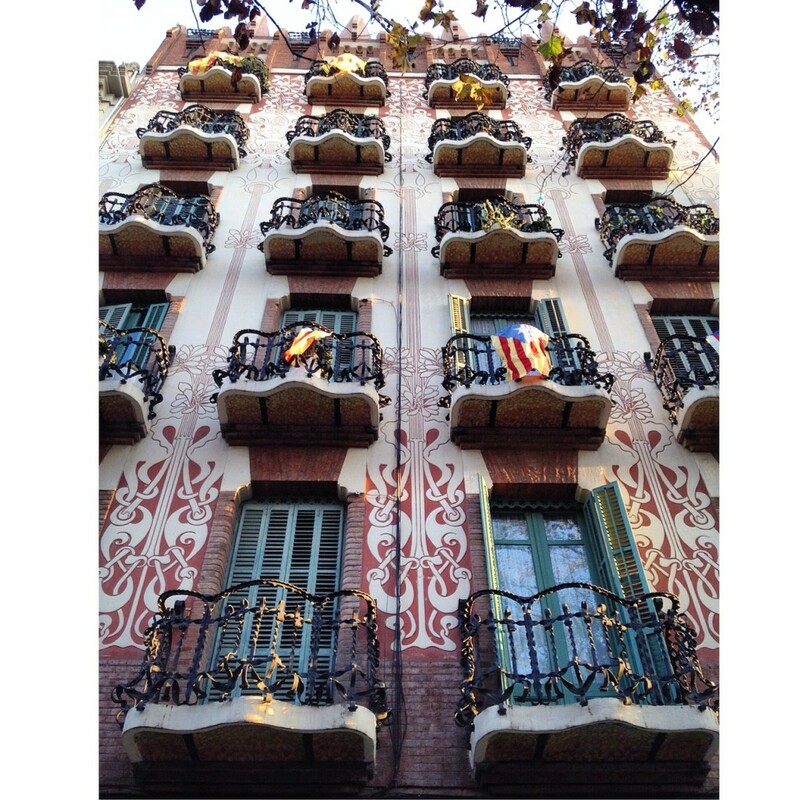 I was staying in the Gràcia neighborhood and my friend was moving to Barcelona and was interested in that neighborhood as a possible place to live. 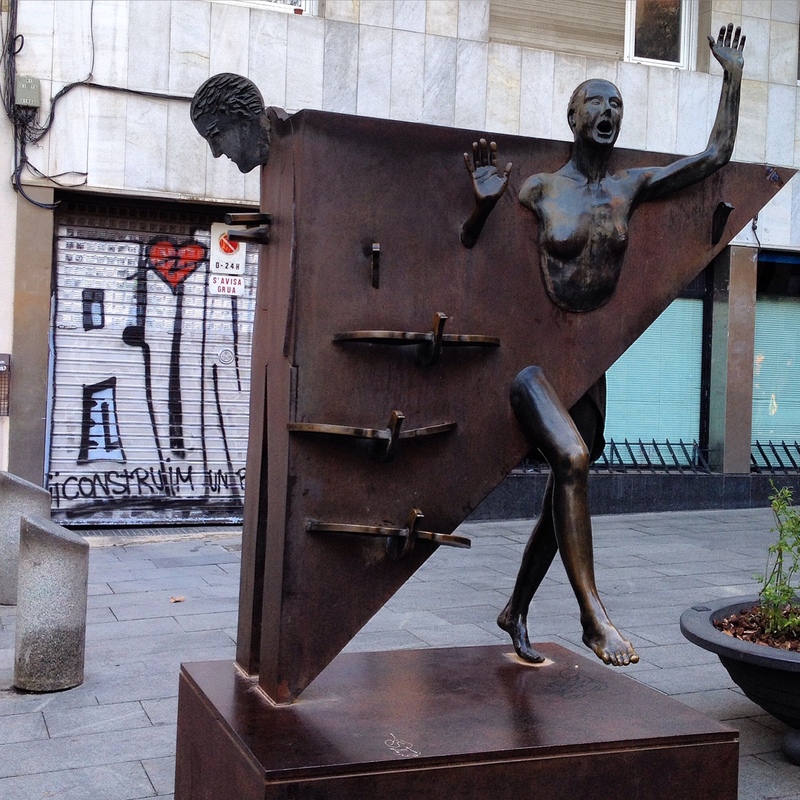 She was leaving the planning of our couple of days together up to me, so I decided on Context’s tour: “Gràcia and the Spirit of the Catalan Independence”. Our docent was local Biel Heredero, a young native of Barcelona who is an art historian very active in the local arts scene and extremely knowledgeable about Catalan history and culture. Our tour started at on the steps of the Virgen de Gràcia Sant Josep church. 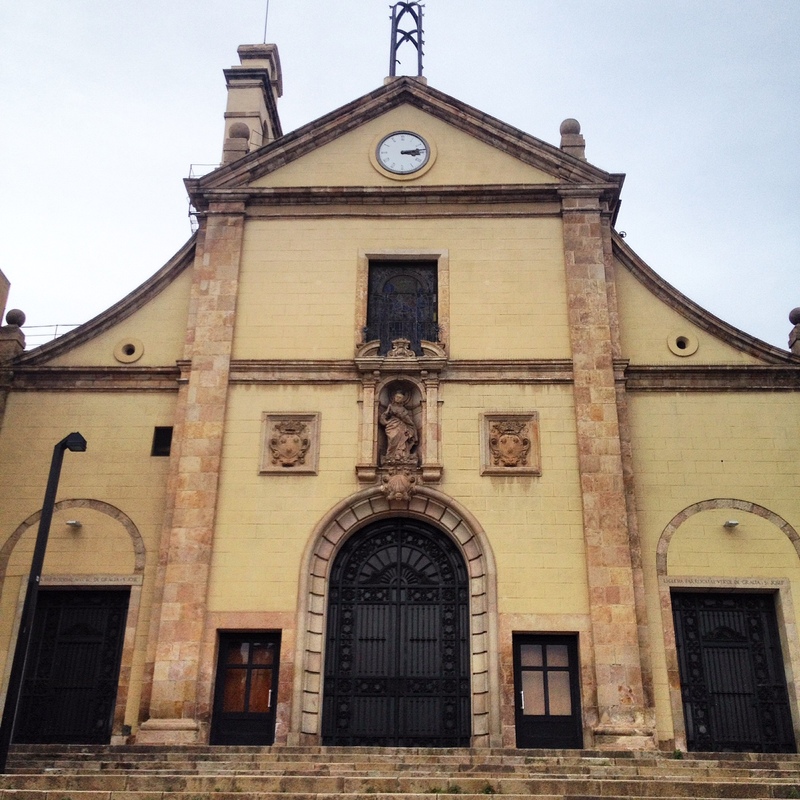 This church built in 1626 gave the Gràcia area its name. The majority of the works of architect Antoni Gaudí are in Barcelona and the association between the two is very strongly linked together. However, we learned that he was not the only Modernista architect around. 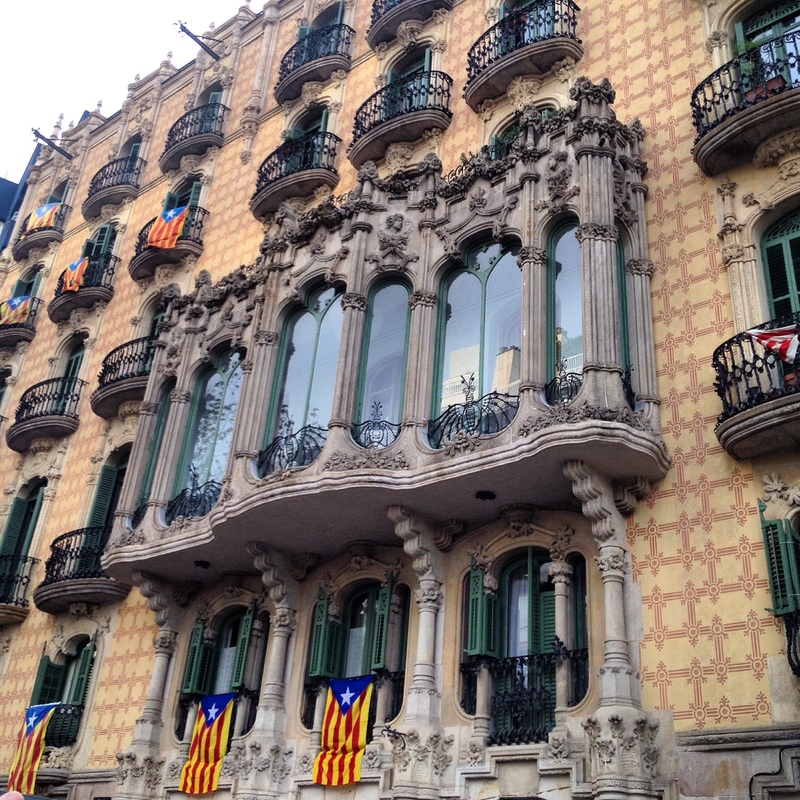 The beautiful Casa Ramos was designed by Jaume Torres I Grau in 1906. The Estelada – the flag of the Catalan separatist movement – hangs everywhere in the Gràcia neighborhood which many would consider the revolutionary heart of Barcelona. My friend and I both wanted to see some Gaudí buildings though, but we were more interested in some of his lesser known buildings. 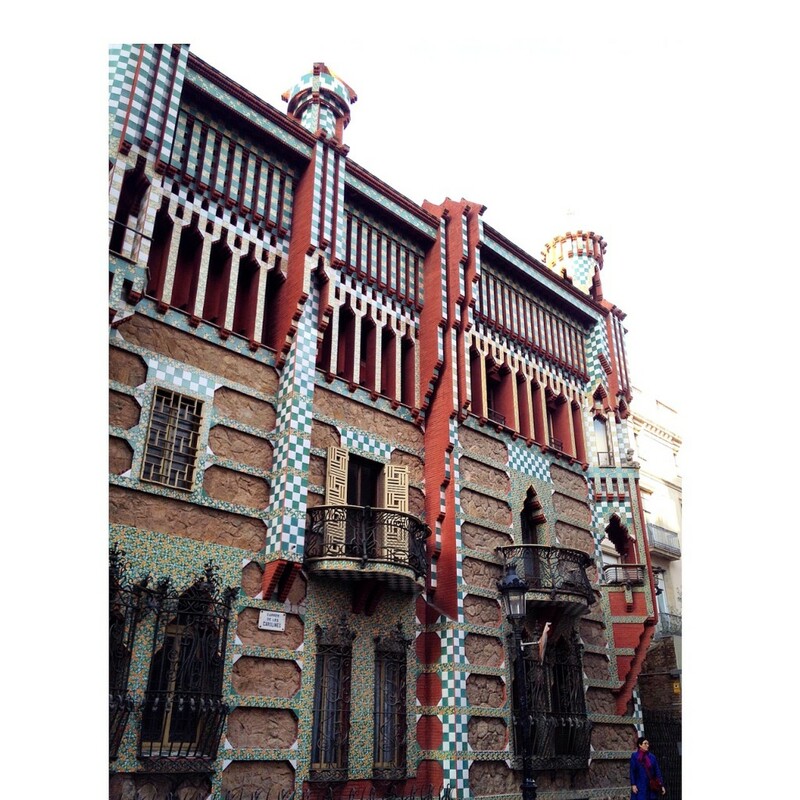 Biel did not disappoint and took us to see Casa Vicens – Gaudí’s first important work built between 1833-1888 and a residence for the owner of a tile & ceramic factory so the reason for all the tiles covering the building. Since tile was an expensive material to use as decoration, not only was the tile easily accessible to him as a tile manufacturer, but it also showed off his wealth to the outside world. Apparently the inside is just as beautiful, even more so according to our docent Biel, and Casa Vicens will be open to the public in 2016. Plaça del Diamant is where there are entrances to underground bunkers that were in use during the Spanish Civil War and can be viewed by appointment. There is also the bronze statue of Colometa, the protoganist in the 1962 novel by Mercè Rodoreda, “La Plaça del Diamant” translated into English as “The Time of the Doves” – the most famous Catalan book ever published and a must read/rite of passage for all school kids in Barcelona. Continuing our walk in the Gràcia we encountered another Modernista building in Plaça de la Virreina which shows a style unique to Modernista architecture – sgraffito. Sgraffito was a form of wall decoration in the 18th century that involved scratching through a top layer of plaster to reveal a different layer of color below. There is lots of attention to detail including tile mosaics on the underside of the balconies. On we went to Plaça dela Revolucio. 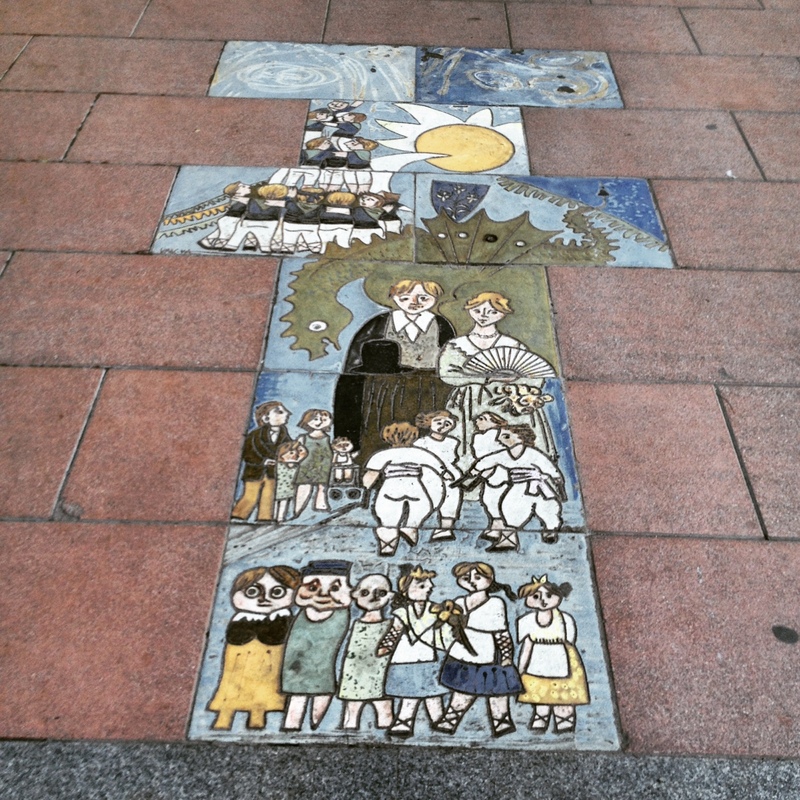 In this square we found beautiful painted tiles formed into a hopscotch pattern – known as xarranca in Catalan. This figure shows the various characters and elements that make up the annual La Mercè or Festa Major de Gràcia street festival – a huge festival celebrated every August in the Gràcia neighborhood that features competitions between various streets in the neighborhood, workshops, activities, and parades with the biggest parade of the festival featuring the Gegants (giants), the Castellers (the human towers), the Caps Grossos (big heads) and the Dracs (dragons). 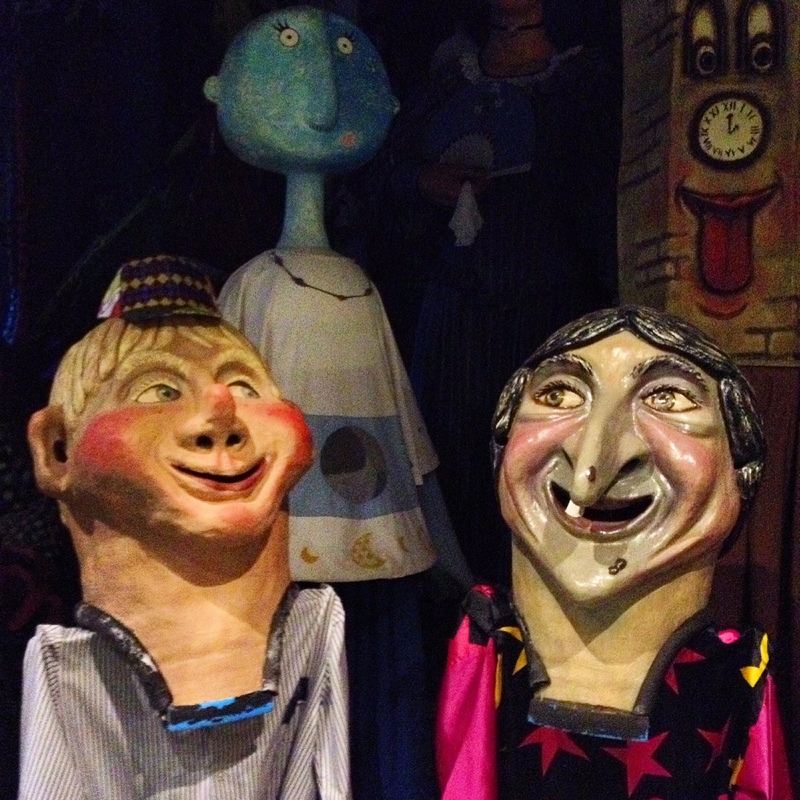 In a building facing the clock tower at Plaça de la Vila de Gràcia, you can view some of the huge papier mache heads and figures that make up the Gegants and Cap Grossos (Giants & Big-Heads). 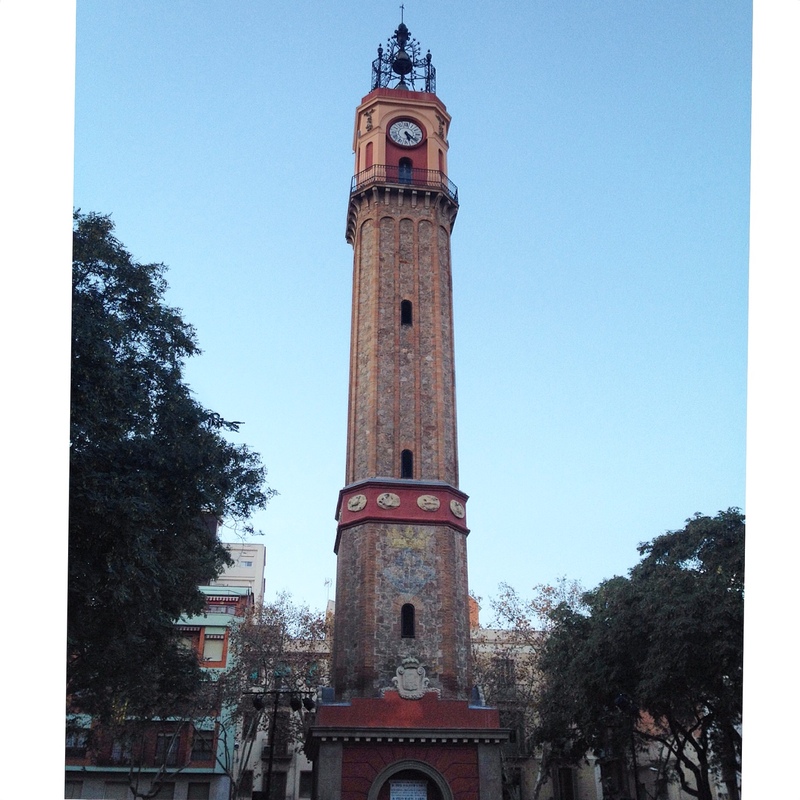 In the center of Plaça de la Vila de Gràcia is the symbol of the Gràcia neighborhood – this clock tower built in 1862 survived bombings from federal troops when the Gràcia neighborhood attempted secession in the late 1800′s. The neighborhood has always been and continues to be a hotbed for Catalanism and dissension. Despite its serious revolutionary history and vibe, the Gràcia really impressed me as a peaceful oasis in a sprawling city. Kids played in the streets and the squares, couples and groups of friends hung out in cafes and families strolled or sat and chatted. 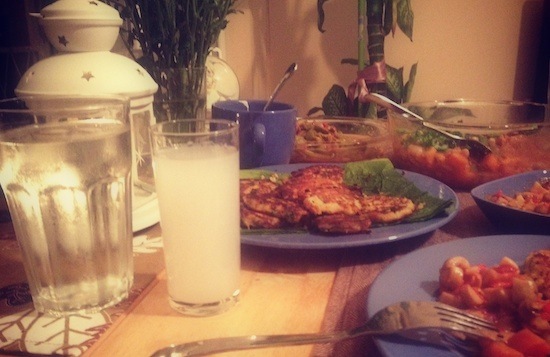 There were lots of great restaurants and there is a definite “green” ethos to the neighborhood with lots of organic markets, shops and restaurants. 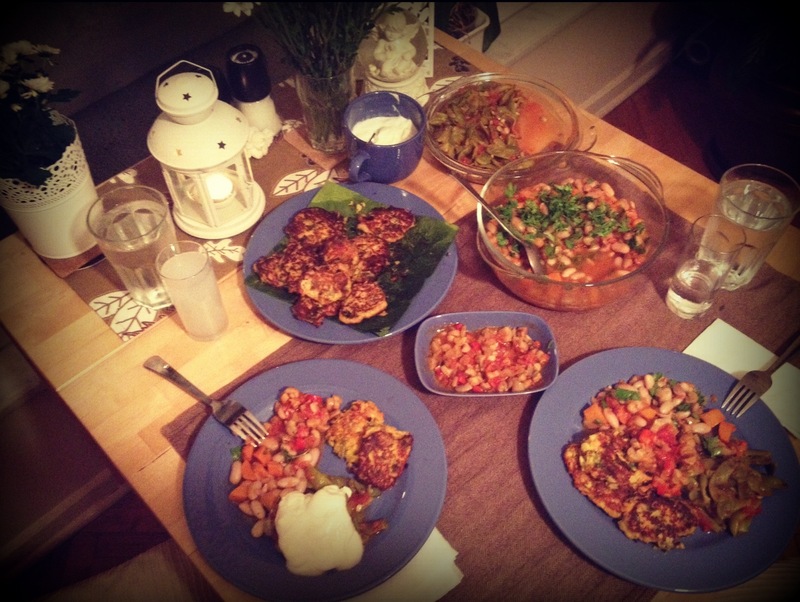 As a vegetarian, eating was easy for me here despite the meat and fish heavy tendency of cuisine in Barcelona. In fact, two of the best meals I had were in this neighborhood: a vegetarian paella at L’Arrosseria Xàtiva and at La Pubilla, a restaurant where absolutely every dish had meat in it, the chefs whipped together a special dish not on the menu that was made with egg, mushroom and vegetables and was mind-blowingly delicious. 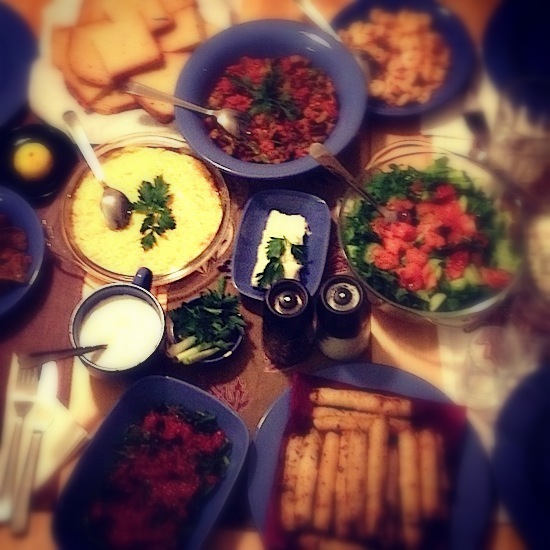 For that dish alone I’d come back to this neighborhood, but despite that the Gràcia is definitely an area of Barcelona worth spending a lot more time in. 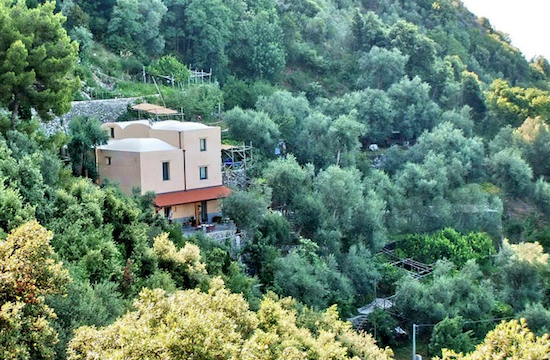 Linda, along with her husband Steve, is the owner of The Beehive Ho(s)tel in Rome. Crossing the English Channel is easier than you may think thanks to Eurostar’s high-speed trains, which began service between the UK and Continental Europe more than 20 years ago. In general, trains are a quintessential part of European travel and can often be more reliable and economical than flying. 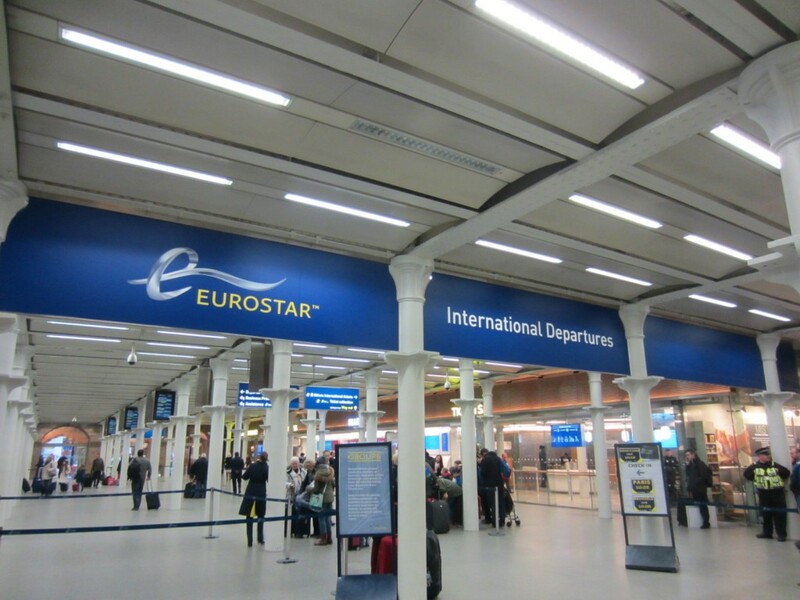 So if you want to enjoy breakfast in London and lunch in Paris, the Eurostar is a good option to maximize your time while minimizing stress and hassle. Here’s what you need to know. Eurostar tickets go on sale 120 days in advance and become more expensive the closer it gets to the departure date. So book early, or as soon as you know your travel plans, to ensure you can travel on the day you want at the best price. 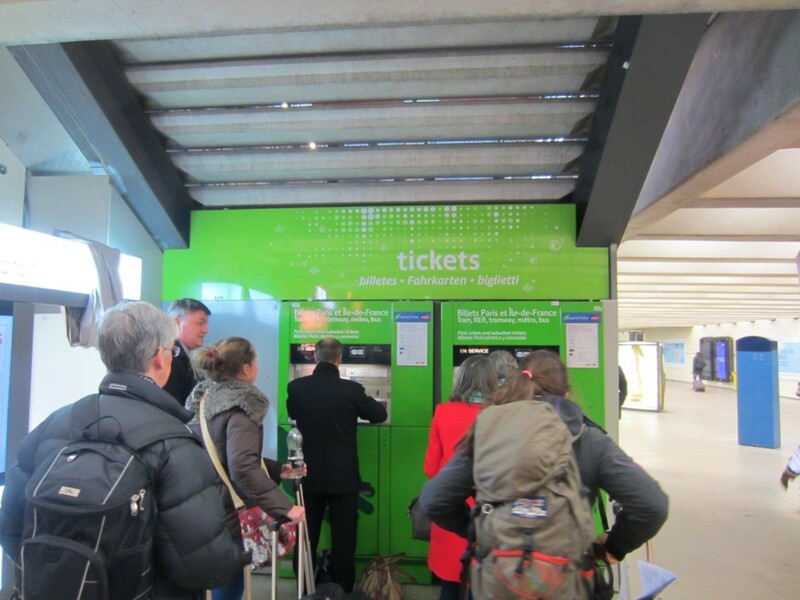 You can purchase tickets online through Eurostar’s website to print out at home or pick up at the station (select your country at the top of the page to pay in your currency), or you can book through third party sites like Rail Europe to have paper tickets shipped in advance of your trip. It’s important to note that there is an hour time difference between London and Paris, so keep that in mind when buying tickets. 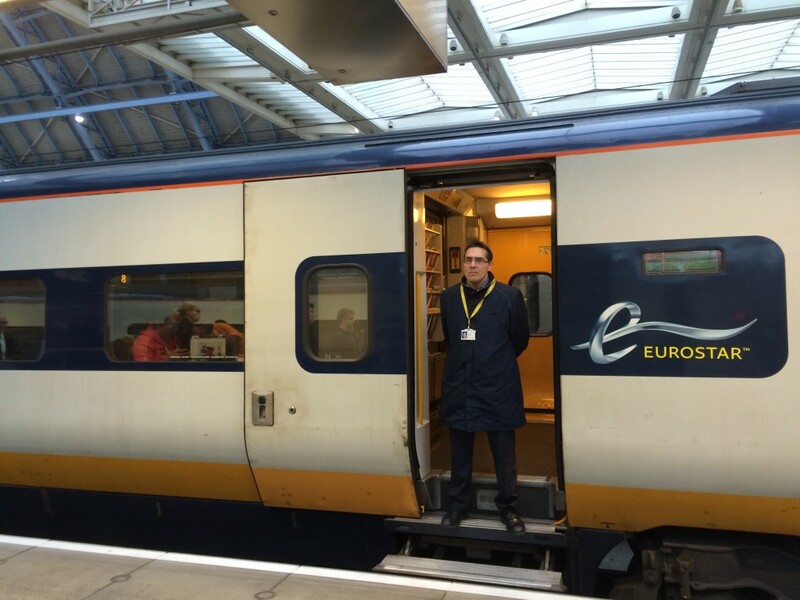 The first Eurostar trains ran between Waterloo in South London and Gare du Nord in Paris. 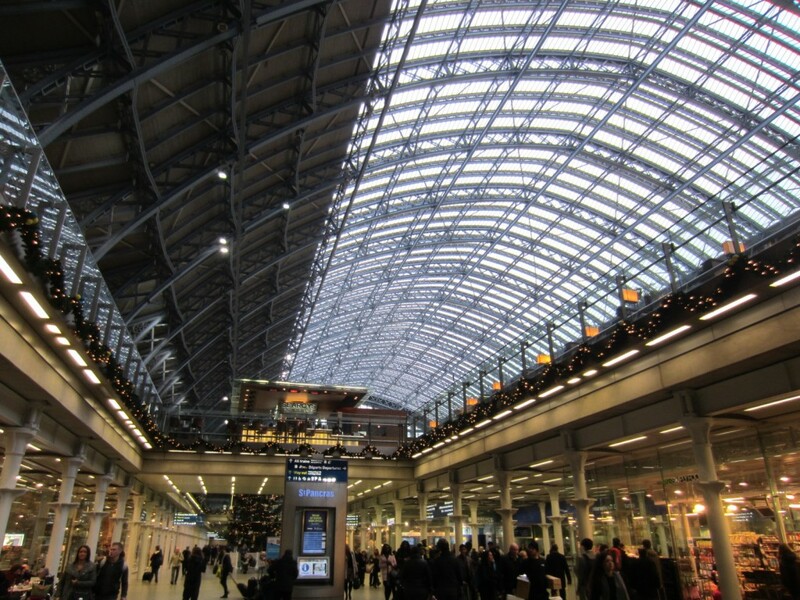 However, today trains use London’s St. Pancras International following the completion of its £800 million renovation in 2007. Dating back to 1868, the station’s glass and steel train shed interior has been beautiful restored and passengers now have access to amenities ranging from free Wi-Fi to the longest champagne bar in Europe. There are also plans for Paris’ 150-year-old Gare du Nord, which first opened in 1864, to undergo a €48 million facelift in the future. You need to check in for Eurostar trains at least 30 minutes in advance, but don’t worry it’s a much more low-key process than what you would experience at the airport. Lines are shorter, you don’t have to check your bags and you can leave your shoes on. At St. Pancras station there is plenty of signage directing you where to go. Scan your ticket at the automated check-in gates, quickly pass through x-ray screening and passport control and then sit back and relax in the lounge area. Once your track is announced (generally about 15 minutes before departure), make your way up to the escalators to the platform. The journey between London and Paris takes less than 2 1/2 hours on the Eurostar, which reaches a top speed of 300 kilometers per hour (186 mph). After you settle into your rather roomy seat (as compared to airline standards), gaze out the window and watch the English countryside give way to darkness as you enter the English Channel Tunnel (or the “Chunnel” for short). Surprisingly, this underwater part of the trip is only about 20 minutes. 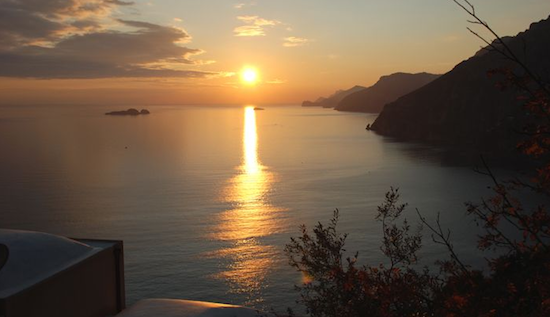 Note that not all trains are direct, so check the timetable carefully before making your reservation. You also have the choice between 3 classes – Standard, Standard Premier and Business Premier – the latter 2 of which offer more amenities like power outlets and regionally-inspired meals, so choose accordingly if this is important to you. 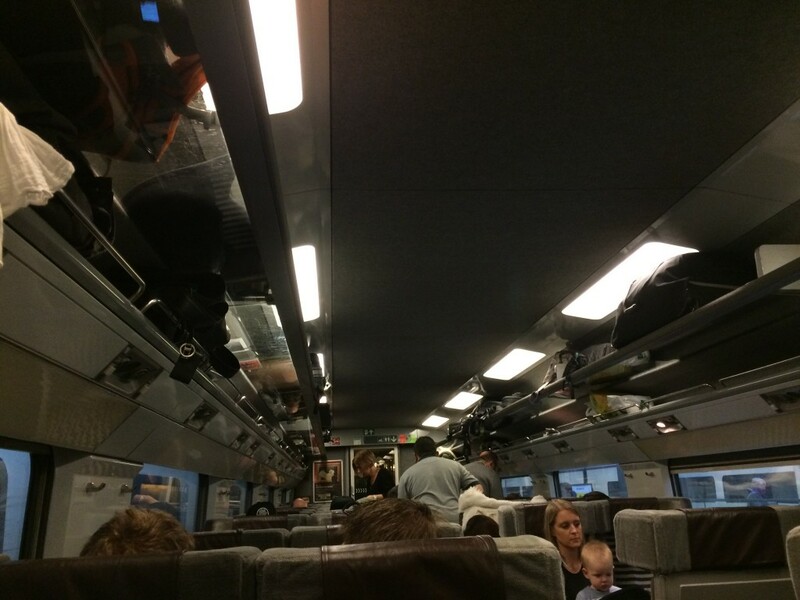 All Eurostar trains are non-smoking and include 2 buffet cars with drinks and snacks for purchase regardless of class. The biggest benefit over flying is that the Eurostar takes you from city center to city center, so you can hop off the train and hit the ground running. Taxis and public transportation are readily available at both train stations. In Paris, Gare du Nord is a major hub for regional RER lines (which connects to Charles de Gaulle airport) and D, metro lines 4 and 5, as well as several other suburban and high-speed trains heading north. St. Pancras in London connects with the King’s Cross St. Pancras Underground station (which serves the Circle, Hammersmith and City, Metropolitan, Northern, Piccadilly and Victoria tube lines) and several other train lines including both the Heathrow and Gatwick Express trains to the airport. In addition to the London-Paris route, the Eurostar also has a train that takes you from London to the Brussels-Midi/Zuid station in about 2 hours with a stop in Lille, France along the way (again, don’t forget about the time zone difference). There is also a direct train from London to Disneyland Paris, perfect for a family daytrip with kids. 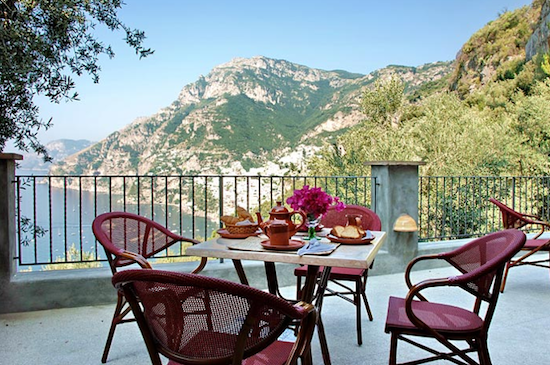 On weekends in the winter, the Eurostar operates a weekly ski train to the French and Swiss Aps, and there are other seasonal trains to the South of France in the summer, with even more routes coming soon. And even though you’re likely to never run out of things to do in London and Paris (and yes, sitting in a café sipping your beverage of choice is a perfectly acceptable activity), the Eurostar can be your gateway to other parts of Europe. The sky, or rather the rail, is the limit. 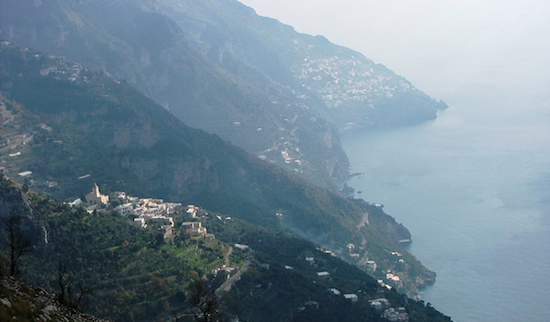 Read more of Jessica’s travel tips for London, Paris, and Belgium on her blog Boarding Pass. With literally hundreds of museums and monuments in Paris, it’s easy for even veteran travelers to get overwhelmed. 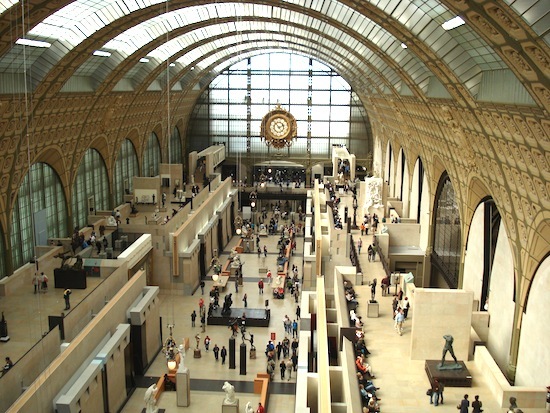 Here’s a guide to the city’s “big three” museums – Musée du Louvre, Musée d’Orsay and Centre Pompidou – which are conveniently organized by time period to help you set your sightseeing game plan. Thanks to its famous resident, the Mona Lisa, the Louvre is one of the most well-known museums in the world and third most visited attraction in Paris, after Notre Dame and Sacré Cœur. It’s also one of the oldest and largest museums, with more than 30,000 works of art ranging from Greek sculpture (including the Venus de Milo) to Italian and French paintings and other artifacts from ancient times through 1850. We can thank King Louis XIV, a great patron of the arts, for this grand and glorious collection, which was first opened to the public in 1793 after the French Revolution. This U-shaped royal palace-turned-museum is located on the Right Bank in the 1st arrondissement, connected to the Arc de Triomphe via a straight shot through the Tuileries and down the Champs des Élysées, giving visitors a sense of the lavish processional route that dates back to Napoléonic times. 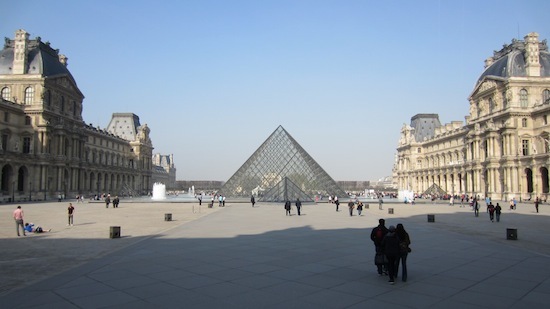 The entrance of the Louvre is adorned with a modern glass pyramid, designed by Chinese architect I.M. Pei, which was added to the museum in 1989. It’s impossible to see everything in one visit, so pace yourself and decide which galleries are your top priority. France is synonymous with Impressionism, and the Orsay picks up where the Louvre leaves off, housing treasures from greats like Monet, Renoir, Van Gogh, Cézanne and Degas. The museum’s impressive collection spans 1848 to 1914 and includes a mix of paintings and sculptures, as well as decorative and graphic art. Inhabiting the former Gare d’Orléans train station in the 7th arrondissement, the beautiful steel and glass building is a work of art itself and a testament to the glory of the Industrial Age. Two restored clocks provide a backdrop to the light-filled gallery, which complements the light that the Impressionist masters set out to capture in their paintings. You don’t have to look twice: the building that houses Paris’ modern art museum is indeed “inside out.” Named after France’s president from 1969 to 1974, the Pompidou Center is located in the 4th arrondissement and boasts an impressive exterior of glass, steel and brightly-colored pipes (green for plumbing, blue for climate control, yellow for electricity and red for safety and circulation elements). Inside you’ll find the largest collection of modern art in the world, with works from the early 20th century to the present, including must-see paintings by Picasso and Warhol to other more “out there” art. Even if modern art isn’t for you, the distinctive exterior of the museum is definitely worth a look. You can also take the exposed escalator to the top for a great bird’s-eye view of Paris. 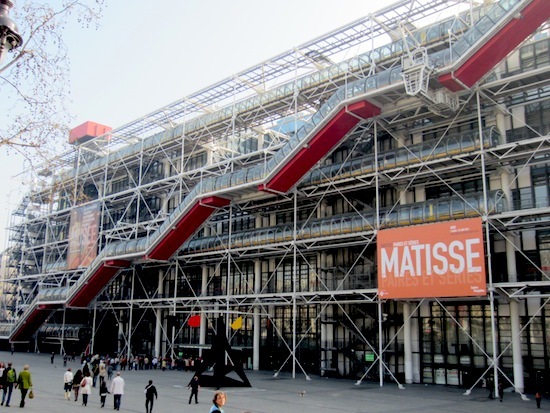 All three of these museums are covered by the Paris Museum Pass, which grants you access to more than 60 museums and monuments throughout Paris and the surrounding area. The pass offers other perks too, like skipping the line at most sites, so you’ll have more time to explore Paris’ cultural wonders. You can find more time and money-saving tips for visiting Paris here. 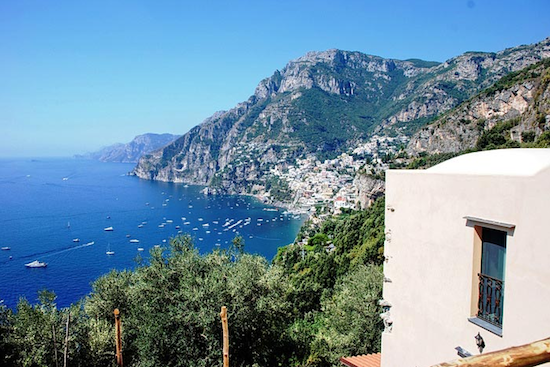 Jessica is a Cross-Pollinate guest (having rented through us in Rome and Venice) who lives in the U.S. but attributes to her love of travel to her Italian heritage. When she’s not dreaming of Europe, she’s exploring it with her husband and favorite travel partner, Jeremy. 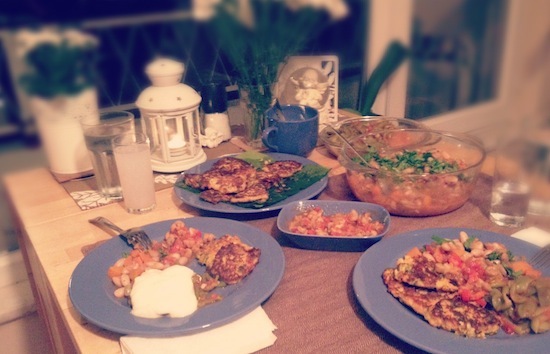 You can read more of Jessica’s tips and experiences at her travel blog Boarding Pass.